Bipin Shah, founder of Mapin Publishing, recounts how he ventured into publishing illustrated books on India for the rest of the world — and built a global brand. AHMEDABAD, INDIA: Ever since it was set up in 1983, Mapin Publishing has operated out of Ahmedabad — an industrial city in western India that was once known as “Manchester of the East” because of its textile mills. Many felt then that Ahmedabad was an unlikely location within India for a publishing house such as ours, but we have succeeded in bringing together the global and the local. In the late ‘70s, when I was working at Feffer & Simons in New York (now part of Baker & Taylor International), my role as Sales Manager for West and South Asia took me to those regions regularly. In each trip of about six-weeks, I would cover nearly 17 cities. For those who have grown up in digital age: that was life before fax and email! The 12- to 14-hour workdays on the road presented itself as a unique opportunity to survey the market for illustrated books. I saw how Israel, with a population of less than 2 million at the time, was producing a range of beautiful books about the country. It was easy to find these books in international markets and, therefore, information about Israel was always available to the Western readers. But during my visits to India, to my dismay, I discovered that there were hardly any quality books to be found, let alone visual or illustrated books, in the stores here. Marg in Bombay was a lone figure, having established a niche in this area as a quarterly magazine, with the support of the Tata Group. Well-produced books on India were simply not published and people had no way of knowing much about this rich and diverse culture. Academics came to research India’s visual arts and art history, with the help of university grants, but the outcome was often academic books. By contrast, the illustrated book segment was flourishing internationally. After nearly ten years of publishing industry experience in New York, I became starry eyed, wanting to create an equivalent of Harry Abrams and Thames & Hudson in India. 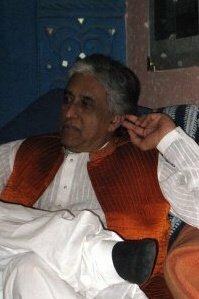 When I moved back to India in 1983, I co-founded Mapin Publishing, as a company that focused on documenting and producing beautiful books on arts, crafts and design in India. Nearly three decades later, the company is counted among the top illustrated-book publishers. At the beginning itself, we were clear that we wanted to create a unique publishing program that focused on quality in content, production and design. We also set ourselves the mandate that the books had to be available to readers in India as well as abroad. This global outlook paved the way for strategies that brought future success to Mapin. In the beginning, we were at a loss for sourcing manuscripts. We began to travel extensively to source them. Scholars, artists, performers, collectors, museums, galleries, crafts fairs, were all our resources – either as potential authors or as sources of information. Unpublished writers, and those writing in the Indian languages also came under our purview. There were no pre-trained professionals that we could hire for the kind of quality that we were aiming for. We identified translators and editors who could work with Indian-language scholars. We attracted young designers from the National Institute of Design to design our books. A considerable amount of time was spent in developing manuscripts and making them publishable. Once the books came into the hands of readers and we began to get positive feedback, we knew we were on the right track. 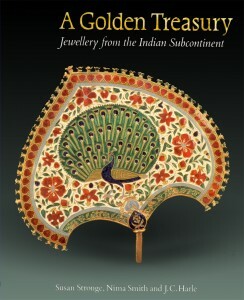 Our first book was titled Crafts of Gujarat, which has been a resource on the handicrafts of this western Indian state. With less than five titles on its list, it was almost a coup d’état when we managed to find an active distributor in North America. Back in 1980s, distributors in the US would not touch a foreign publisher unless they came with an impressive long backlist. Our representation in North America gave us visibility in museum stores, university campus bookstores, and in some mainstream US and Canadian trade book stores. Soon, academicians and museum curators/scholars began to notice us. The rest of the international market took longer to break into. Besides being visible at every major international book fair — Frankfurt and BEA without fail — the company was also participating in conferences to increase its interaction with scholars and museum curators. We were focused on acquiring new manuscripts, while at the same time using the opportunity to understand needs of potential buyers of rights. In 1986, when we were just two-years-old in the market, the company was feeling its way through the business of publishing, and still learning the ropes. Publishing museum collections in India was an impossible task due to the bureaucracy. (This is so to this day in most cases, but recently some visionary bureaucrats have paved the way for this to change, and we have managed to publish a few collections.) So we decided to start looking at international museums that held collections from India and rest of South Asia. An obvious choice was the Victoria and Albert Museum in London. 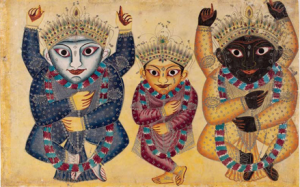 V&A has a large holding of Indian art objects (65,000) which were not documented in any significant manner. At that time, Government grants to the V&A were slashed and the in-house publishing department shrunk to two part-timers. It turned out to be an opportunity that set us on an exciting course. We started a dialogue directly with the curatorial department. The curators were keen to publish and within six months of our starting this interaction, the trustees of the V&A approved Mapin’s proposal for establishing a long-term publishing program. The first book, The Golden Treasury, under this arrangement was published in 1988. We went on to publish five titles in the next three to four years. At around that time, we explored another kind of publishing arrangement — co-publishing. We were lucky to have got our first deal with an American publisher Rizzoli. Having originated a book with a British Museum and having produced a co-edition with an American publisher boosted our confidence, and we began to realize that there was a niche market waiting to be explored. So we decided take our museum-publishing venture beyond the British shores. Illustrated book publishing in the US was very vibrant then and the interest in India was beginning to gain momentum after the first “Festival of India” in the USA in 1986. For nearly a year, we pursued The Metropolitan Museum of Art in New York to acquire rights for a particular book. With the help of the legendary author and Islamic art scholar, Stuart Carey Welch, we managed to get the rights for reprinting that title. It was the first real test. We had signed on the dotted line and agreed to have the final print sample approved by the museum. That book, India Art & Culture, went on to become our first bestseller. Many more books followed. The word-of-mouth among authors, curators and museum publishing departments was a strong affirmation of what we were doing. Over time, we began to adopt other publishing models, all of which have contributed to the business tremendously. Our multicultural adaptability and our uncompromising attention to quality has held us in good stead while working with publishers in the US, UK and Europe. By now we have produced more than 300 books, which cover the gamut of visual arts of India — art, architecture, culture, design, photography, performance arts — combined with our specialization in museum publishing. Not only do we commission our own titles, we co-publish, package, and provide customized publishing services. Bipin Shah is Co-founder and Publisher of Mapin Publishing, a publishing house that specializes in quality illustrated books on art and culture of India. DISCUSS: What is the future of adult illustrated publishing?